Dubai’s real estate sector ranks among the world’s largest in terms of foreign direct investment (FDI), according to a new report published by industry analyst JLL. The firm’s findings are supported by recent data published by Dubai Land Department, which revealed Dubai registered 69,000 real estate transactions in 2017, worth a total US$77.6 billion, up from 41,776 transactions worth $70 billion in 2016. Of the 2017 figure, foreign investors accounted for more than $15 billion-worth of property transactions. Gulf-based investors committed more than $10 billion to property purchases in the emirate, while Indian investors made $4.24 billion-worth of investments, Saudis $1.9 billion and Brits $1.6 billion. Meanwhile, Pakistanis invested almost $1.4 billion in the emirate’s property market. Other notable nationalities included Chinese, Canadians, Egyptians and Jordanians. 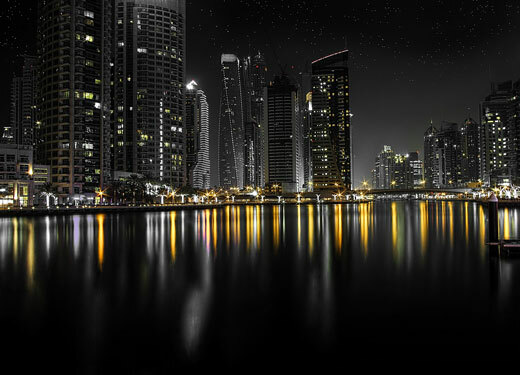 JLL’s report, entitled ‘World Cities: Mapping the Pathways to Success’, says Dubai’s appeal to international property investors lies in the fact the city “epitomises” the best aspects of “emerging world cities, or new world cities”. “Like ‘New World Cities’, [Dubai] is medium-sized, competes in specialised markets and has a superior liveability equation compared to [its] national and regional peers,” the report notes. It adds that Dubai possesses the “very high-quality infrastructure platforms and higher-value visitor economy of ‘New World Cities’”. Another key selling point is the robust nature of Dubai’s property laws, which safeguards investors’ rights and applies stringent rules to all real estate transactions. “Dubai has put in several initiatives to improve transparency,” JLL notes in the report. The firm previously named Dubai as the most transparent real estate market in the Middle East in its 2016 real estate transparency index, which analysed property laws in major real estate investment markets worldwide.